Cypress Montessori School was founded by a loving husband and wife, Mark Liu and Ginger Bian in August of 2005. Prior to opening, Ginger was an accomplished American Montessori Society certified and violin teacher in the Houston community with over 25 years of experience in teachings. Mark was a public and corporate accountant working in the Fortune 500 Company. He was also an accomplished tennis coach who led his daughter, Abby Liu, to obtaining a Division 1 tennis scholarship at the collegiate level. In August of 2005, Cypress Montessori School started out with less than 50 students, and gradually made its way to offer 8 classes for children from 6 weeks through fifth grade in the before- and-after program and serving more than triple the students. 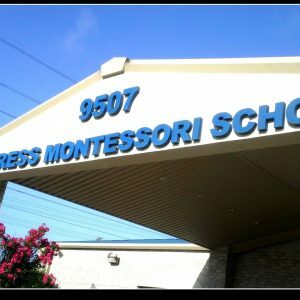 Cypress Montessori School is a few of many schools in the Houston community to be accredited by the American Montessori International. Parents have continually asked us to expand further to elementary ages, but have chosen to concentrate on providing the most comprehensive program for younger children in the area. Ginger was not only a successful entrepreneur but also a wonderful mother, a wife, a mentor, a life-long educator, and an accomplished musician. Her passion of teaching, serving the community and the school were obvious and distinguished in the Houston area. Ginger spent her life giving of her time and energy to help people. She was 100% committed to Cypress Montessori School and the academic and developmental achievements of her children. She was a business woman who carried integrity, respect and honor. Ginger passed away in December of 2015 and achieved her American Dream. 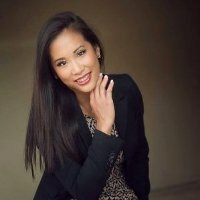 Today, her reputation and legacy is continued by her daughter, Abby Liu. Abby attended college at the University of Texas in Austin where she received a Bachelor of Science Degree in Kinesiology and a minor in Childhood Education. In addition to earning a B.S. degree from UT Austin, she received a Masters in Business Administration from the University of St. Thomas in Houston, TX. Abby is also an accomplished violinist having received U.I.L. Superior ratings in State and concertmaster in the Houston Regional Orchestra. She was taught by her mother, Ginger. Abby received several academic achievement awards in her time serving as a Student- Athlete at UT including Big 12 Commissioner’s Honor Roll. Liu believes that performance in the classroom is just as important as accolades in competition. Additionally, Abby was nominated by the Houston Endowment Jesse H. and Mary Gibbs Jones Scholars Program which is chosen by the Houston community’s most promising future leaders through exemplary academic success, leadership programs and extracurricular success. Liu is also a member of the Sigma Beta Delta, an International honor society recognizing and promoting achievement in business, management and administration while attending graduate school at UST. Abby served as the President of Beta Gamma Sigma, an International Honor Society for business students that encourages and honors outstanding academic achievement in business education. Induction into the society is considered the highest level of distinction awarded to students in accredited business schools; only the most exceptional students are invited. Furthermore, Abby followed the footsteps of her mother and obtained an International Montessori Teaching Diploma. She also holds the Department of Family and Protective Service Child Care Director’s Certificate presented by the Child Care Council of Greater Houston, Inc and is Food Manager Certified. During Abby’s tenure at The University of Texas Austin, she was a Division I Tennis player. She was coached by her father, Mark. During her last season at UT, she was ranked as high as 61 according to the Intercollegiate Athletics. As a player for the UT Tennis team, she has help lead her team to reach the round of 16 at the NCAA Championships and Big 12 Championships. Before her time at Texas, she was ranked as a top player in the state of Texas, 2 time District Champion at Cy-Falls High School and reached the U.I.L State Championship. She recently won the Houston Oilsman Tennis Tournament Doubles Championships, which is one of the largest oil and gas industry sporting events in Texas. Abby’s mission is to continue her mother’s legacy. She plans on modernizing and improving the pre-K education system by making sure that each child is equipped with the age- appropriate knowledge and skill, hard work and talent to reach greater success in their future academic endeavors. She truly believes that the benefits of preschool and education contribute to better citizens, occupation and social outcomes in this day and age. She is a strong advocate in education in America to meet the demands of the global marketplace. She wants to best prepare her students for skills that will be relevant in the future. As a former athlete and educator, she also believes and encourages students to enhance their skill sets through enrichment programs offered at Cypress Montessori School. She believes that the benefits of a Montessori curriculum and integrated program will allow the child to become leaders, gain self- confidence, increase cognitive development, obtain greater self-discipline and obtain better time- management skills at an early age. She wants to see that her mother’s traditions, Montessori curriculums and legacy live on for generations.